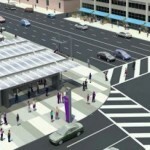 Extension of LA Metro’s Purple Line Phase 1. Full electrical build-out of the first underground station. Design/Build contract through 2023.